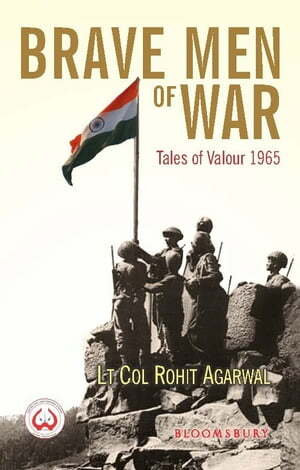 Collins Booksellers - Brave Men of War by Lt Col Rohit Agarwal, 9789386141392. Buy this book online. The ancient Greek poet Pindar once wrote, 'Unsung, the noblest deed will die.' Brave Men of War- from the heights of Kargil to the plains of Punjab-sets out to record acts of valour and tell the stories of the brave men, some of whom unflinchingly paid theprice of victory with the ultimate sacrifice of their lives during the 1965 Indo-Pak war. Pakistan's defeat in the war, marked the coming of age of the Indian army. There are stories of countless young men who lost their lives, fighting until they 'd drawn their last breath but all too often their stories were either forgotten or reduced to footnotes in the larger volumes of history. This book recounts the heroic and fearless acts of bravery demonstrated by our men in Olive. The list includes Lt Gen Harbaksh Singh, the military leader who planned, directed and commanded the operations and actions, Lt Col Desmond Hayde, the hero of Dograi, Lt Col AB Tarapore and Lt Col MMS Bakshi and many others. Without glamorising war, this is an attempt to preserve the stories of heroism and sacrifice of some fearless men, so that they may become role models for the youth of India and never be forgotten.